A quirky and original comic fantasy from talented Gollancz author Alex Bell. 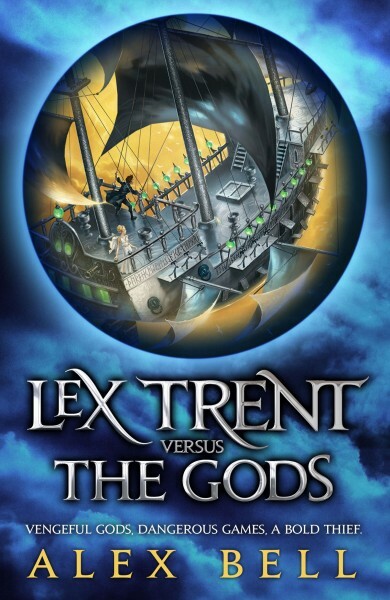 Law student Lex Trent’s world is inhabited by fearsome magicians, ageing crones and a menagerie of Gods and Goddesses. And while Lex is seemingly dedicated to his legal studies he’s always enjoyed a challenge – which is why he le ads a double life as the notorious cat burglar ‘The Shadowman’ who has been (luckily) evading capture for years. But Lex’s luck is about to run out, because the Goddess of Fortune has selected him to be her player in the highly dangerous Games. Losing is not an option for Lex (particularly as it so often involves dying) but can he really win each of the perilous rounds? Given that the reward for doing so is money, fame and glory – all things that Lex is quite keen on – he’s going to do whatever it takes to make sure he will… and he’s certainly got good experience of cheating.